Sue Greer is an educational leadership consultant dedicated to helping leaders create, embed, and sustain a culture of authentic professional learning at the district and school levels, with the explicit purposes of ensuring high quality teacher practice and consequently student learning and achievement. For over 20 years, Sue served the District School Board of Niagara in Ontario, Canada as a classroom teacher, a school principal, and ultimately a Superintendent of Schools and Program. In her role as Superintendent charged with school effectiveness and improvement responsibilities, Sue’s collaboration with Dr. Steven Katz focused on building school leader learning networks, and then taking them to scale throughout the district. This work has served as a model for many other school districts individually and for the Province of Ontario as a whole, and has been integral in the design of several board leadership development strategies. 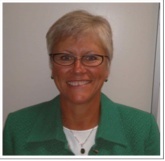 Sue is a past Director of the Southwest Region of the Ontario Public Supervisory Officers Association (O.P.S.O.A.) and also served as Chair of the O.P.S.O.A. Professional Development Committee. She currently serves as a mentor to newly appointed Superintendents across the Province of Ontario. In association with Dr. Steven Katz and Aporia Consulting Ltd., Sue also supports school improvement in several different school boards as a “critical friend” focused on instructional leadership capacity building through networked learning communities. Sue has a keen interest in international education development work, and has served as an ongoing “critical friend” and consultant to a Canadian International School in Vietnam. Regardless of the venue, the orientation of her work seeks to link leadership, teaching practice, and student learning in an intentional and deliberate way.